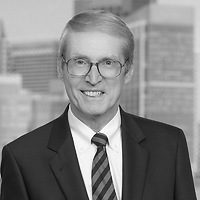 Michael E. Mooney, chairman of the firm, published “The climate is right for change for those who live and work in Boston” in The Boston Business Journal’s “Viewpoint” section on December 12. The article discusses how the City of Boston is preparing for climate change while taking steps to reduce the carbon emissions that are contributing to the problem. In November the City of Boston released a draft of its updated Climate Action Plan (CAP) and while the draft contains valuable data on the level of progress made to curb our carbon footprint, it contains two sections that should draw the attention of everyone who lives or works in Boston and the surrounding communities. Mike, who is also vice chairman of the Boston Green Ribbon Commission, notes that the business community needs to be an active partner with the city in the process, to help improve and implement the plan. The draft CAP report highlights the urgent need to integrate climate preparedness into all aspects of city planning, review, and development, and to work with regional and state officials to coordinate preparedness efforts. The draft also expands on the need to plan for significant changes in the way we view energy if we are to reach the city’s stated goal of 80 percent greenhouse gas reductions by 2050. He points out that at the same time that Boston is enjoying a robust commercial and residential development era, we are faced with the urgent need to prepare for climate change by making smart investments, acknowledging what needs to be done and summoning the political and economic resources to embrace the future. Mike concludes that Boston will look different in 2050 and it can be a stronger, healthier and more prosperous city if we pay attention to the challenges and opportunities presented by a changing climate.